Further proof of Grant’s continuing concern for black soldiers was his uncompromising stand on prisoner exchanges. The previous year, Jefferson Davis had announced his intention of either executing captured black soldiers of returning them to slavery. This double standard for black and white Union soldiers was intolerable to Grant. In negotiating prisoner exchanges, he told Butler no distinction should be made between “white and colored prisoners; the only question being, were they, at the time of their capture, in the military service of the United States.” To back up his point, Grant suspended prisoner exchanges with the Confederacy until black and white equality was established. 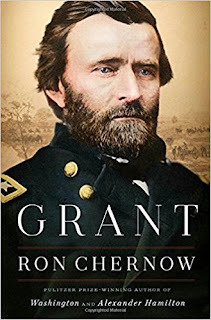 Even though he didn’t believe they had attained the same proficiency as the most experienced white troops, Grant continued to insist that black soldiers should be employed as widely as possible. In laying out instructions for Banks’s expedition up the Red River, he had expressed hope that “a large number of [black] recruits of this class” would be used. Having conferred with Butler, Grant was ready, at last, to take on Lee.